Screenshot via The Chicago Sun-TimesArthur Jones, candidate for Illinois’ 3rd Congressional district. A Holocaust denier and former American Nazi Party leader is officially the Republican nominee for Congress in a suburban district of Chicago after running unopposed. He is almost certainly going to lose to the Democratic incumbent. Both the national and Illinois Republican Party have denounced Arthur Jones’ extreme views and will not be supporting his candidacy. 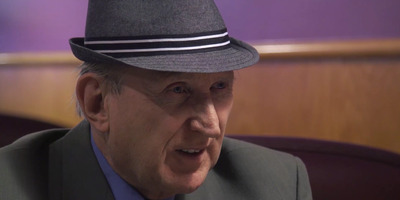 Arthur Jones, a prolific Holocaust denier and former American Nazi Party leader, officially clinched the Republican Party nomination in Illinois’ 3rd Congressional district in the suburbs of Chicago, CNN reported. Jones ran unopposed in the Republican primary on Tuesday and will almost certainly lose to Democrat Rep. Dan Lipinski in November. Lipinski, the incumbent in the heavily blue district, who won out over his more liberal challenger Marie Newman in Tuesday’s Democratic primaries. Jones, a self-described white supremacist, has run for office in the district seven times before, but his win on Tuesday is the first time he has gotten his name on the ballot. The local Republican Party has distanced itself from him since he announced his unopposed candidacy. “Arthur Jones is not a real Republican – he is a Nazi whose disgusting, bigoted views have no place in our nation’s discourse,” said Illinois party chairman Tim Schneider. Schneider added that the Republican Party will put “real campaign dollars” into the campaign of an independent challenger instead of supporting Jones. The national GOP has renounced Jones, too. “We condemn this candidate and his hateful rhetoric in the strongest possible terms,” a Republican National Committee spokesman said. Jones has been an outspoken activist against remembering the Holocaust, and in 2009 protested the opening of a Holocaust museum in Illinois. The Anti-Defamation League has watched him for years, according to the Chicago Sun-Times. “Arthur Jones, who proudly displays Holocaust denial, xenophobia, and racism on his blog and website, has a long history of hateful, extremist and anti-Semitic views,” Lonnie Nasatir, the regional director of the Anti-Defamation League Chicago-Upper Midwest Region, told the paper. Camerota closed the interview by pointing to Jones’ past failures in running for public office.